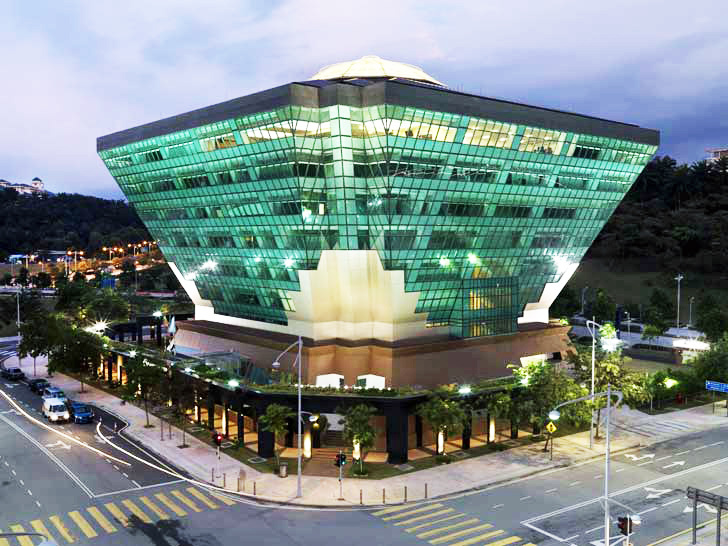 The findings of the study represent an extension of motivational and beneficial attributes associated with green building as highlighted by previous studies of Nurul and Zainul (2013); Aliagha and others (2013, 2015); Darren and Tetsuo (2014). Nurick and others (2015); Kuye Olusegun (2000); Olanrewaju, Mohd, and Arazi (2011). For instance, on developers expected rate of return Motivation, with a total mean scores &gt; 3, Malaysia and Nigeria developers regard developers expected rate of return as a crucial factor for green commercial property supply. This finding reflects the opinion of Kuye Olusegun (2000) who argue that the major aim of every investor and developer in green building investment is to recover his capital and make returns on his investment. The same could be said of Life-cycle, cost saving motivation where the total mean scores were &gt; 3 indicating that life-cycle, cost saving motivation constitute greater motivating factor for developers and investors in green building business. This is a reflective of Nurick and others (2015) contention that because green building expenses are recoverable through operational savings and decreased energy costs, developers, investors and tenants are attracted to invest in it. Also, the study found that tax incentives creates strong motivational effects for both Malaysia and Nigeria developers with the total mean scores of the variables ranging from 4.9 to 3.9 which is considered high. This is supportive to Nurul and Zainul (2013) and Darren and Tetsuo (2014) opinions that the decision to supply green products is to a large extent dependent on the availability of incentives. The authors contended that if tax incentives are attractive, developers will invest in green building but if the incentives are less attractive, it limits participation in green building supply. On the availability of green skills, the study established that the factor and its variables displayed total high mean scores (all&gt;3.5) inferring that available green skills measures constitute great motivating factors for both Malaysia and Nigeria developers. Also, this finding supports the suggestions of Aliagha and others (2015); Olanrewaju, Mohd, and Arazi (2011) that availability of green skills would motivate sustainable building construction. Finally, our study concludes that overall, the factors and variables constitute greater motivating factors for Malaysia than Nigeria. This reflects the position of DC-LLC (2014) study where it was reported that Malaysia and Nigeria are clearly at different levels of green-building policy, development, and implementation. As such, Malaysia developers and investor could have better perception of factors that motivate green and sustainable commercial property investment. 1] Significant differences in perception between Malaysia developers and Nigeria developers on the factors that drive green commercial properties. 2] Variables that mostly accounted for the differences are within the measures of life-cycle, cost saving motivations. 3] Nigeria developers are more indifferent and uncertain about the inherent returns in green building than Malaysia. Thus, Malaysia developers perceive green building factors and variables as more important and motivating than Nigeria. 1. Social cognitive theory SCT revolve around motivations, intentions, and expectations from green buildings. The theory provided comprehensive and adequate explanations of the factors and variables used in this study. It equally provided a source for the usage and application of the factors and variables in the study. 2. The discriminant analysis model of supply of green commercial properties in the study represent a motivational and beneficial attributes associated with social cognitive theory in which the study areas (Malaysia and Nigeria). 3. The research significantly finds support in the postulations of social cognitive theory. The theory is of the view that the decision to invest in green building is often influenced by motivational factors, commitment and expectations. This supposition is a confirmation of the relationships between developers expected rate of return motivations, corporate conscience responsibility motivations (social) and economic and financial factors of green building investment. 4. The supply factors and variables in the study as supported by the theory and examined in this study bring to bear the relationship between the factors that affect the supply of green commercial properties. It was found that linking environmental, social and economic and financial issues such as reduction in C02, users’ satisfaction, operational cost savings, green certification and green tax incentives enhance the overall supply of green commercial buildings. 5. The theory premise of social cognitive theory supports the nature of green market which its supply value is dependent on clients demand and affordability. It was found that since the final green product are sold to the consumers and commercial viability of green building is based on consumers demand, the developer is pushed and attracted by the profit to supply. 6. Finally, given the postulations of SCT which supports the requirement of investment capacity and commitment, green skills and resources which are the underlying factors that affect green commercial properties were examined. This was done in the areas of design skills, construction skills, maintenance skills and procurement skills. They underscore the importance of green skills as catalyst for increase in the supply of green commercial buildings. The concept of sustainability in geography, is about the capacity of the environment to continue to provide generational support for human lives and other living creatures as well as understand the interactions between and among man’s community life support systems such as air, water resource, building, fishery, forestry and ecosystems. Again, the notion of sustainability in geography education appears to inquire and comprehend why environmental and sustainability issues may contrast or change from place to place, and why diverse strategies might be needed to address issues that may not be similar. Such change may include the pattern and perceptions on green building investment. Since green building may be perceived as a possible way of creating a healthiest environment, geography entails and support such capacity of the environment to support human life and welfare. The implication is that the design of green or sustainable building in any geographical or institutional context require the knowledge of environmental geography and processes that can be integrated to understand the causes of unsustainability. This develops acceptable process to balance the environmental, economic and social considerations associated with green building and geography. For example, to understand the sustainability of biodegradable wastes in building, some knowledge of the processes that break down and recycle or store these wastes, and of the causes of eutrophication is required by the real estate development team. Again, to understand some of the problems with the disposal of non-biodegradable wastes associated with building, experts in building need some knowledge of the movement of groundwater. Similarly, to appreciate the importance of ecosystem services, developers’ need to know about how these services work. To identify ways of protecting valued landscapes, building experts need some knowledge of the processes, like soil erosion, that degrade them and so on.